And of course, this is deeply annoying. It seems to reinforce the idea of woman as the “marked” gender and man as the “normal”, natural state of things. It feels patronising and seems to reduce women’s interest to a colour, as if the marketing executives are using Elle Woods from Legally Blonde as their model woman. 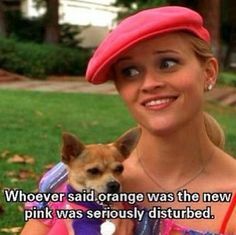 And you know, I love Elle Woods. My phone case is pink. I like the idea of wearing pink on Wednesdays (though I always forget). But I don’t want my interest in the world to be reduced to pink. On the other hand, if I want a pink version of something, so be it. Sometimes I like pink. Venturing into the land of children’s toys however, presents a more complicated problem. Girls’ sections are a pinkwash of epic proportions. Understandably, this upsets a lot of parents. Now, I get that the fact if girls stuff is always pink that’s super boring; just as I described with the case of adult women, girls shouldn’t be reduced to a colour. I also understand that a lot of the stuff that these sites campaign against are things marketed at girls to encourage the to be homemakers or princesses or beauty-obsessed people. Obviously the problem is that there’s not a diversity of options being put on the table for girls. Like we tend not to tell girls: you could be a mother AND/OR a builder AND/OR an engineer AND/OR a makeup artist (though I have to say, Barbie has done a good job of having a lot of different occupations). Now, I should note here that in the actual Goldie Blox product, there are a few pink pieces (like a ballerina dolphin – rad). But the point is, clearly the rhetoric of Goldie Blox is trying to tap into anti-pinkification sentiments. 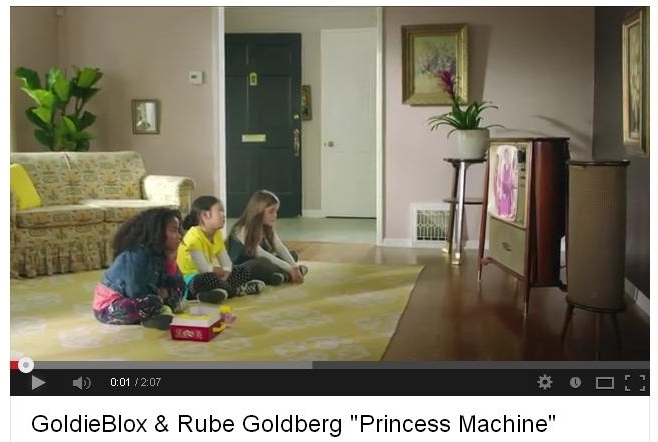 And the thing is, it turns out Goldie Blox itself is really boring for a lot of kids. It doesn’t have the imaginative radical potential of other toys, like Lego, that also teach principles of engineering. The problem isn’t pink, it’s the actual toys. 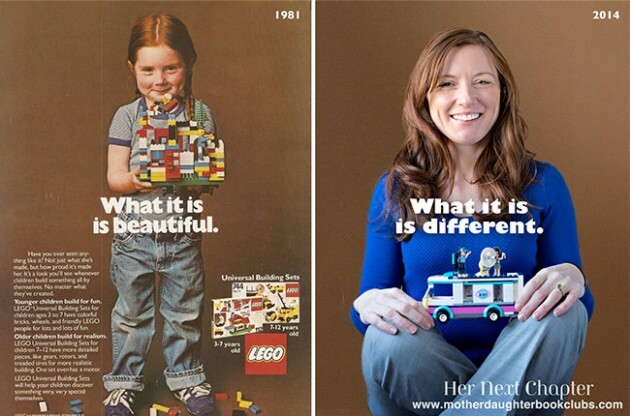 Speaking of Lego, this recent article reflects on how Lego has changed its marketing to girls over the years, with the girl from the 1981 “What it is is beautiful” ad showing how boring Lego “for girls” has become. There is a great point here: going from blocks that can become anything, to already-built pieces that have pre-determined (and often gender stereotypical) story lines is lame-o-rama. But so much of the article focuses on pink – for example they point out several times that in the original ad the girl is “without a hint of pink”. 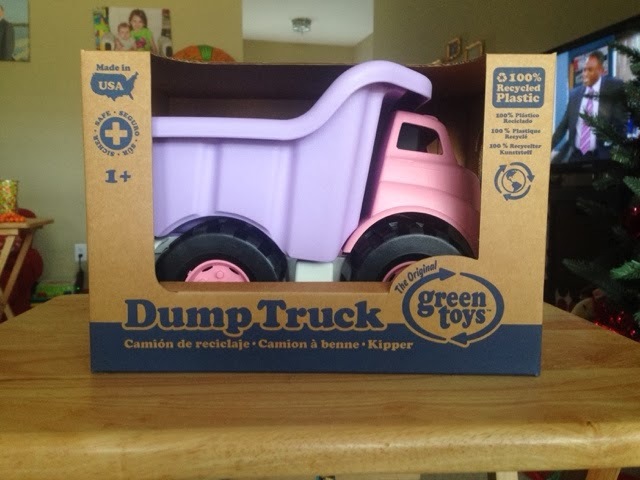 Pink has become symbolic of all that is wrong with the gendering of toys, and as a result pink is often one of our main targets, rather than judging toys on their capacities. When I was a kid I had to beg for a Barbie doll. When I eventually got one, it had blonde hair and this AMAZING pink disco outfit with a light on her belt that would flash on and off when you turned it. She had permanently bent elbows, which annoyed me because she was kind of hard to move about. I then obtained a second Barbie and a Ken Doll from an older best friend. I cut Disco Barbie’s hair short and she shacked up with new Barbie, who liked to wear ballgowns. They lived with Ken in a suitcase apartment that I made, with a white plastic cat. They had good queer times together. There were lame aspects of pink Disco Barbie, like her immobile limbs (perfect for cuddling other Barbie though), but the pink wasn’t the issue. I was still inventive with my Barbies and though they never taught me about structural engineering, I had fun with them. 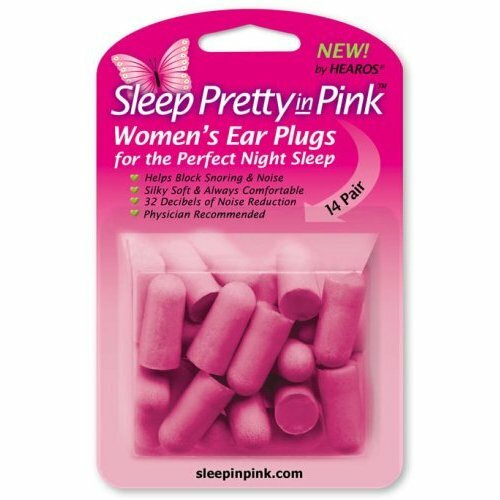 Some of the “girly” toys I wanted in childhood were really inert and useless, like Fairy Winkles, but they weren’t bad because they were pink. I’m pretty sure that at the end of the day I was just subject to marketing and a desire for “status” like all the other kids (like, when I got connector pens I thought I was so cool). I think we should promote kids to be interested in a range of dynamic stuff. But at the end of the day it’s not pink that stinks, it’s our attitude to gender that matters. This entry was posted in Feminism, Gender and tagged Girlhood, Goldie Blox, Natasha Walter, pink, pinkification, toys by binarythis. Bookmark the permalink. it’s so lovely to meet another feminist who likes pink and doesn’t see it as the enemy. Here’s a thoughtful take on the pink phenomenon. I really like this notion of changing marketing on kids products, and what we might be able to do for boys toys even. I wonder if pink can translate better to young boys at some point. That would be pretty rad.